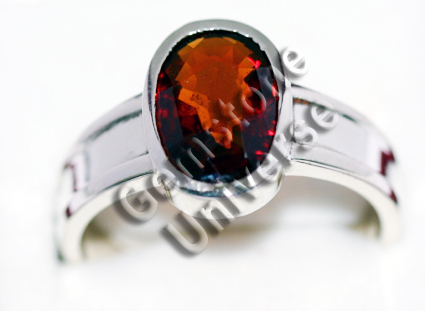 Natural Ceylon Hessonite of of 3.88 carats set in sterling silver 925. Collection number 2890 .Certified Natural Hessonite with no treatment or enhancement Final Price INR 13450/ USD($)290 all inclusive. Made available to Gemstone Universe.com Patron on 13th Feb 2010.